From the isolated North East tip of the Isle of Islay - pronounced Bu na ha venn. 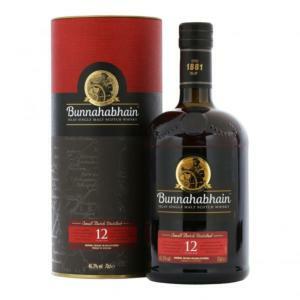 Bunnahabhain is not a heavily peated malt - it embodies the more gentle side of Islay, making it an approachable dram. The nose if fresh and aromatic, and the palate is light with fruit and nuts.